AirAsia's 'Big Sale' offer is valid on travel from November 1, 2018 till August 13, 2019 and bookings are open till May 27, 2018. AirAsia is offering discounted tickets on flights flying to Asia, Australia and New Zealand. AirAsia is offering overseas flight tickets at a starting all-inclusive price of Rs 999 on select routes under a new promotional sale. AirAsia's 'Big Sale' offer is valid on travel from November 1, 2018 till August 13, 2019 and bookings are open till May 27, 2018, according to the airline's website (airasia.com). Under this 'Big Sale scheme, AirAsia is offering discounted tickets on flights flying to Asia, Australia and New Zealand, as mentioned on the official website of AirAsia- airasia.com. 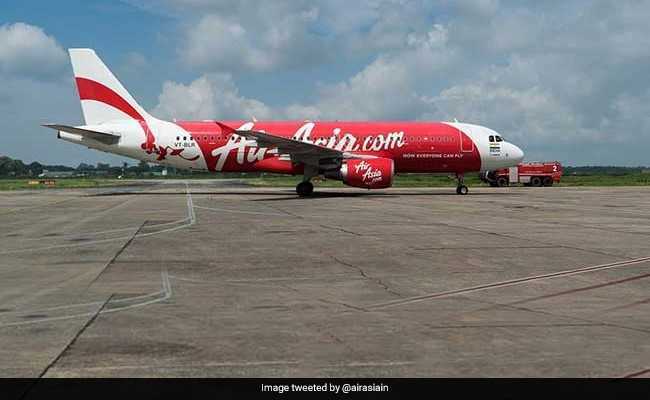 Some of the other discounted all-inclusive fares offered under AirAsia's sale are on flights from Visakhapatnam to Kuala Lumpur (starting at Rs 1,999), from Kochi to Kuala Lumpur (starting at Rs 3,399), from Goa to Kuala Lumpur (starting at Rs 5,514), from Hyderabad to Kuala Lumpur (starting at Rs 4,999), from Jaipur to Kuala Lumpur ( starting at Rs 3,590), from New Delhi to Kuala Lumpur (starting at Rs 4,290), among others. AirAsia is also offering connecting flights overseas from India through Kuala Lumpur. These flights include Bhubaneswar-Kuala Lumpur -Jakarta (starting at Rs 2,255), Bhubaneswar -Kuala Lumpur -Yogyakarta (starting at Rs 3,341), Kochi-Kuala Lumpur-Brunei (starting at Rs 4,649), Kolkata-Bangkok --Don Mueang -Phuket (starting at Rs 5405), Hyderabad-Kuala Lumpur-Penang ( starting at Rs 6,613), Jaipur-Kuala Lumpur -Krabi ( starting at Rs 5,701), and many more. 1. AirAsia's promotional sale requires flyers to make advance bookings, AirAsia added on its website. 2. The discounted tickets are available only for online bookings at www.airasia.com. 3. A non-refundable processing fee is applicable for payments via credit, debit or charge card, according to AirAsia. 4. Ticket fares include airport taxes (except for selected airports where airport tax is collected at the point of departure). 5. Seats are limited and may not be available on all flights. Under 'Big Sale' scheme, AirAsia India is also offering domestic flight tickets starting at Rs 999.